The Referral List is the only form of paid advertising that background checks all sponsors and continually monitors them for compliance to a strict code of ethics and excellent customer service. Sponsors also sign an agreement to solve consumer problems to our satisfaction or be removed from the list! Long ago, Denver Consumer Advocate Tom Martino realized he needed to do more than simply expose “bad guys”. While Tom considers his work exposing unethical businesses important, he feels it is just as important to promote the "good guys". That is the basis for establishing the first and original referral list in the country. ReferralList.com is paid advertising that offers more safeguards than any other kind of advertising anywhere. He calls it Advertising with Accountability. Tom Martino's Referral List has become Colorado’s most utilized and respected “list” of reliable merchants, contractors and service providers. It is the only form of advertising that offers recourse to consumers through, arbitration, public testimonials, media exposure, public censure and suspension of members who do not measure up. Early in Tom’s career the need for a referral list became self-evident. While consumers watched him going after liars, cheats and rip-offs, they would naturally ask him whom he trusts. Back then Tom would give out recommendations based on personal experience. However, there was no accountability and no formal way to insure that his recommendations would deliver maximum benefit. At times, even when a company did a good job for him, they dropped the ball for others. Tom saw a need to formalize his recommendations to hold them to a higher and consistent set of standards. The result? He formed ReferraList.com where all members are contractually bound to provide excellent customer service, quality products and outstanding business standards. Above all Tom is passionate about HELPING PEOPLE! His entire career has been built on it. Everyday he answers questions, takes complaints and solves problems for thousands of people. Over the years he has recovered millions of dollars in cash, merchandise, exchanges, refunds and services. 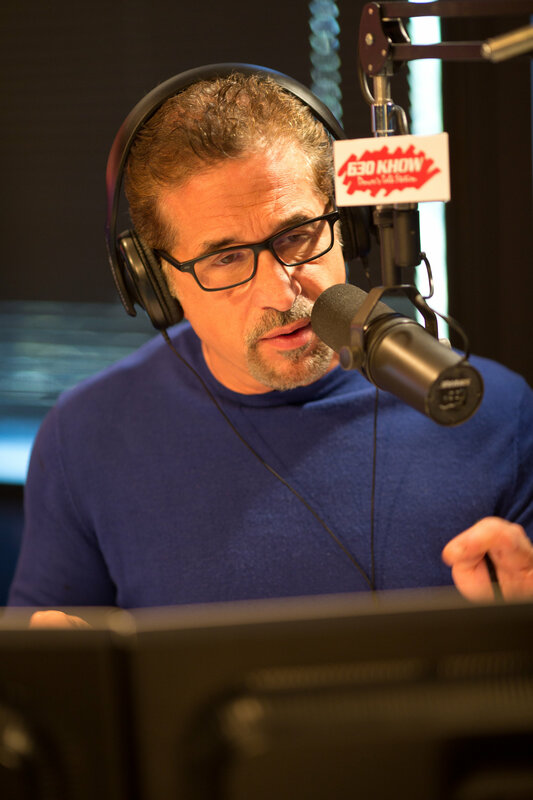 Tom’s main base of operation is his top-rated radio show airing weekdays, originating from his flagship radio station Talk Radio 630 KHOW and to other radio affiliates. The show is also simulcasted, with in-studio cameras, on Facebook and YouTube. Consumer Advocate Tom Martino has a 40-year history of fighting for consumers using TV, Newspapers, Magazines and the Internet. His well-known "Troubleshooter" brand has garnered millions of loyal fans across the country. Tom's high-energy format is unlike anything you’ve ever heard on radio! Each program is packed with calls from people needing consumer help, information, referrals and advice. 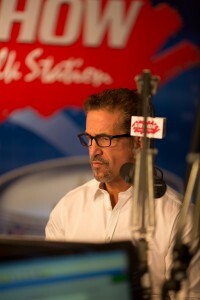 Tom and his team routinely investigate scams, rip-offs and consumer fraud live on the air! It is truly "Reality Radio". 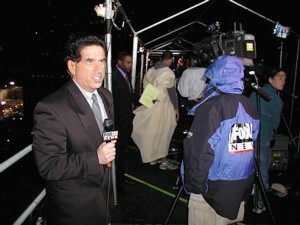 Tom Martino has enjoyed more than 40-years as a television consumer reporter - 30 of those years in Denver - beginning with 20-years at KCNC-TV, later moving to KDVR Fox-31 for 12-years. On the Internet Tom hosts ReferralList.com, Troubleshooter.com and SleazeBrigade.com in conjunction with his consumer advocacy work. Tom Martino's Referral List has become Colorado’s most utilized and trusted “list” of reliable merchants, contractors and service providers. All members are extensively background checked and continually monitored for adherence to a strict code of ethics and conduct. He calls this venture Advertising with Accountability. It is the only form of advertising that offers recourse to consumers through binding arbitration and suspension of members who do not measure up! While other lists have emerged copying his concept, the Referral List is the only list founded and operated by a consumer advocate with a track record to prove it! In addition to Broadcasting and the Internet, Tom offers consulting services to top corporate executives and business owners around the country on topics concerning business strategies, branding, marketing, advertising and customer service. He also serves as a commercial spokesperson for a select group of companies through personal endorsements for their outstanding customer service and consumer value. One of Tom’s favorite activities is public speaking for business, educational and charitable organizations. Tom Martino’s career spans more than 40-years beginning with a small town newspaper in Catskill, New York. While at the Catskill Daily Mail Tom created one of the first-ever Consumer Action columns where readers wrote to him for consumer help, information and advice. In the early 70’s Tom moved into broadcasting at WHUC Radio in Hudson, New York where he hosted America’s first consumer call-in show. Shortly thereafter he launched his TV career at WRGB-TV in Schenectady, New York. From New York, Tom also worked at WBBH-TV in Fort Myers, Florida; WTVT-TV in Tampa, Florida and WRAL-TV in Raleigh, North Carolina. Tom began his Denver career at KCNC-TV and 850-KOA Radio. He also had a long-running column in the Rocky Mountain News and wrote independently for several national magazines. In the late 90’s Tom’s radio show became nationally syndicated for several years on more than 300 radio stations from coast to coast. His affiliates included 77-WABC Radio in New York City. Tom decided to stop syndication to concentrate on raising his children. 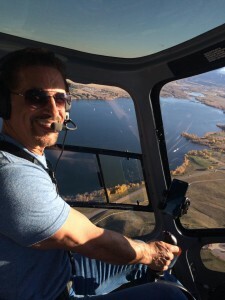 Tom is an avid airplane and helicopter pilot and enjoys playing drums, target shooting, horseback riding, RV camping, computers and tinkering with all things technical.